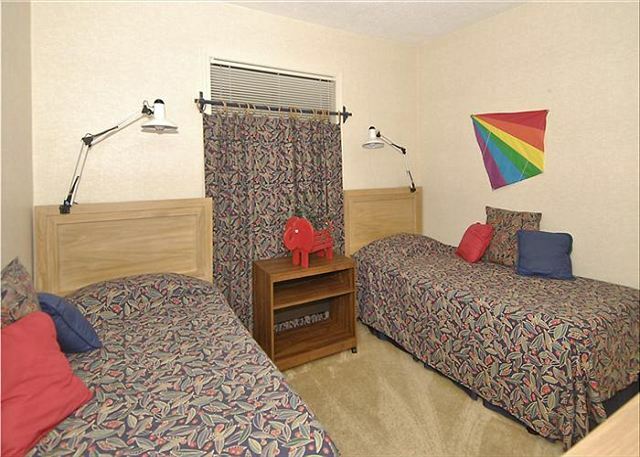 Quiet with all of the Amenities! Lovely wood burning fireplace. Spacious with all you need to cook a lovey meal in the kitchen. Excellent property management company! Highly recommended. Thanks for taking time to share your review with us. I hope that your family had a wonderful ski season and enjoyed the cozy comfort of The Penthouse at Beaver Ridge. We hope to see you next year! Didn't spend a ton of time at the unit during our visit but it was very clean, comfy, and perfect for us. The Penthouse was perfect for our long weekend ski vacation. Everything went without a hiccup. Very professional. Although we've owned our own home in Canaan Valley for many years, we often rent for our family and friends. When we do, we deal exclusively with Best of Canaan. They are definitely "the best" in Canaan Valley! Stayed in "The Penthouse" in mid-July. We wanted a quiet stay as it was a "working vacation" for me and I needed to do some reading. There was only one other family staying in the building, so it worked well. Not much of a view, only a forest, but ok. Unit was nice and clean, though there was a musty smell upon entering. Unit had not been rented all summer. The water heater had been turned off and I had problems turning it back on. Management sent out a repairmen quickly to turn it on. The charcoal grille is a good distance away from the unit and not feasible for use. Towels smelled musty as well. Overall we enjoyed the stay and I would recommend it to friends and family after noting the above. It is perfect if you want rest and quiet. Response from property owner: Having owned Beaver Ridge 121 for 22 years, I always welcome constructive comments from guests. The view from my property is the Monongahela National Forest. Just a few feet from my deck is an abundance of wildlife. Prior to your arriving, a family had visited for the 4th of July weekend. Instructions for turning on the water heater are posted in the unit. I will add additional copies of the instructions. The grill for Ash Lodge is located at the opposite end of the building in a picnic area and is used often by residents and guests. Best of Canaan and their housekeeping services have always taken great care so that the unit is 100%. At any time during your arrival or stay, if anything is not up to your standards, Donna Patrick and her crew will do their best to address any concerns. Thank you for your overall recommendation. I am glad you enjoyed your stay at The Penthouse. Stay was pleasant. Good experience. Very pleasant. Accommodations were comfortable. Had some trouble with internet,but problems were resolved. Thanks for taking time to submit a review for The Penthouse. We are happy that the Beaver Ridge recently updated and upgraded their Internet service. Thanks for your patience while all of the bugs were worked out. Very pleasant & comfortable. Still have 2 months to go. My husband and I stayed for the Thanksgiving holiday. The Penthouse was clean, well kept and well appointed. We were super lucky to have snow for our stay too! The staff at Best of Canaan were super helpful and friendly. We will definitely be back to stay! We enjoyed our stay at this property. It was quiet, well supplied and clean. The beds were comfortable. Our only difficulty was with the Wifi. Only one person could get on the connection at a time which can cause trouble with a family. Great place though. The condo had everything we needed. 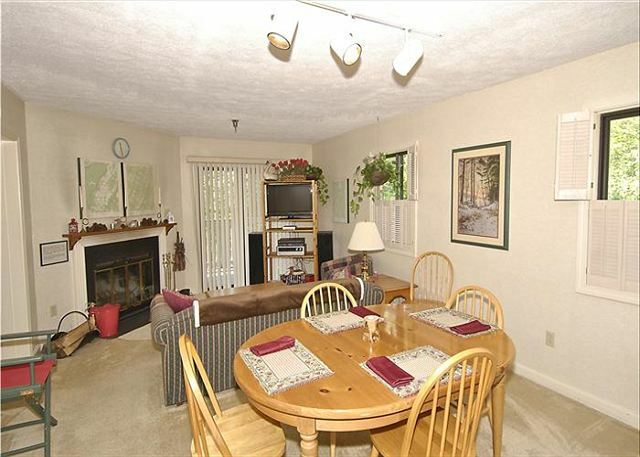 Because the condo is located in the upper corner of the building, the unit was very quiet with a nice view of the forest. We liked the good service of Best of Canaan, the condo, the cleanliness and comfort. Next time we go to Canaan, this will be our starting point in search of accommodation. wifi was barely functional. It would have been nice to have known that the water needed to be turned on as well as knowing that the breakers for the hot water heater and stove needed to be flipped. A note on the refrigerator could have explained this. Thanks for your comments and for taking the time to complete our review process. We are always interested in hearing from rental guests and consider your insight as an opportunity to repair and improve our vacation rental properties. We wanted to let you know that the Internet provider for this property was called and has been on site to increase the strength of the WIFI signal. We regret that the instructions posted on the back of the entry door were difficult to locate. We will follow your suggestion and make sure that the information is also posted in the kitchen. Again, thanks for your insight and suggestions. Happy New Year! Stayed at the condo while working in area. Very satisfied with the condo. Property management personnel were terrific to work with. Very Good. I w2ould rent unit and use agency again. We recently spent a long weekend in the mountains and this rental was a great choice for lodging. It was midway between Davis and Canaan is a beautiful wooded location. The condo was just as the pictures show it. The pool was nice and not crowded at all. In fact we had it to ourselves a few times. The only downside was that we did not have any cell phone reception there. But there is a land line and wi-fi. I would definitely stay there again! This rental was very clean and well equipped with everything you would need. We loved our stay there both for the comfort and convenience of the rental and for the nearby hiking and sight seeing opportunities. Best of Canaan was great to work with. We were very happy with our stay. This was our first trip to WV and we loved it. We were a little apprehensive and hoping we made a good choice at staying at Beaver Ridge. We are looking forward to returning next year. Would give a 10 plus. The Management staff was very helpful working with us. We have never been to the area before and they were amazing and very kind with info and service. rental agent Donna Patrick was especially helpful.